We weren't well off when I was growing up. In fact, Harrison Plaza was our choice of mall back then and eating at the food court area of the groceries was a regular thing for us. This means that I grew up eating Lotsa Pizza and have grown to love the Ham and Cheese Pizza that they are known for. 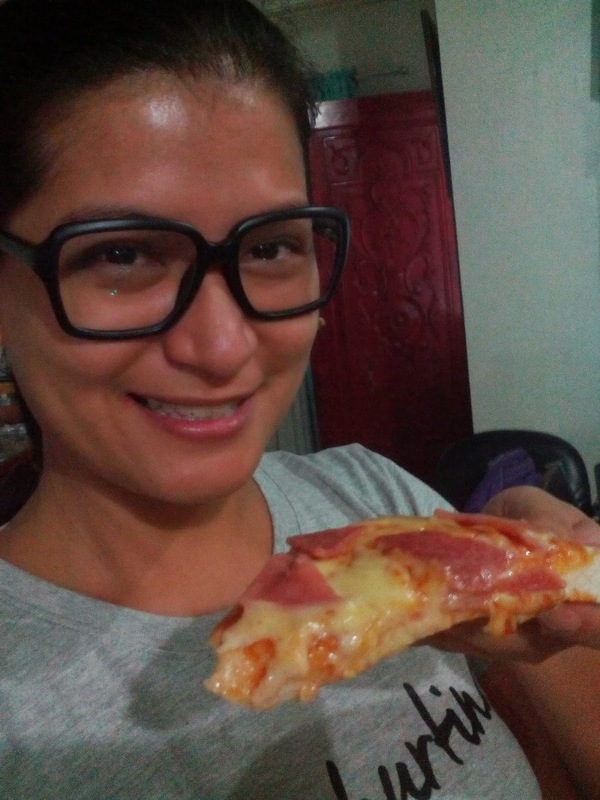 When I got older and could afford the more expensive pizza, I rarely ate Lotsa Pizza but every now and then, I find myself craving for the simple Ham and Cheese pizza that they had. It was just so unpretentious and so uncomplicated. 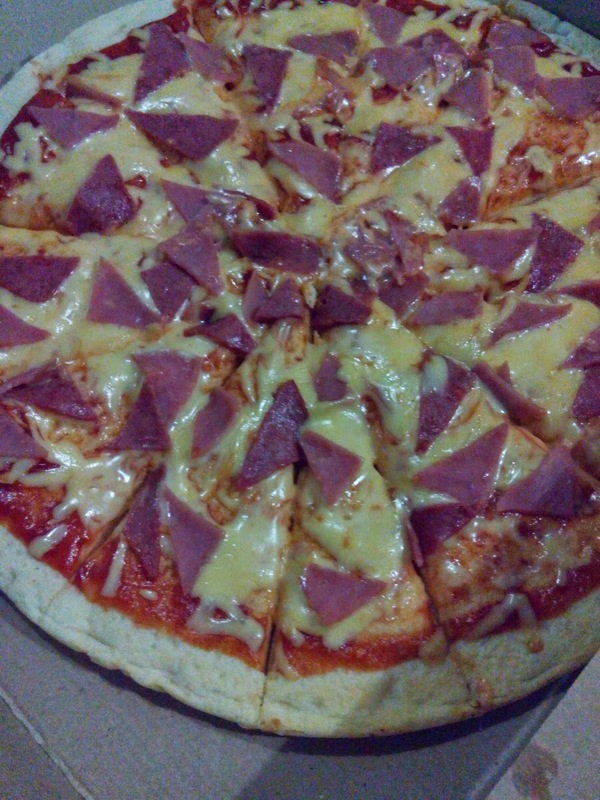 A few weeks ago, we celebrated my Lola's birthday and I decided to get pizza for snacks. 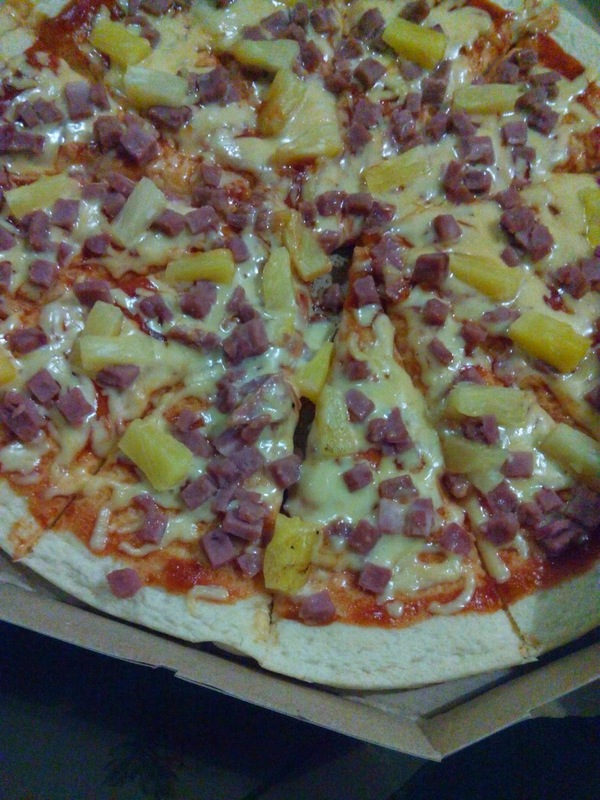 Since there was a Lotsa Pizza located near our house, I decided it was time to meet a past love. 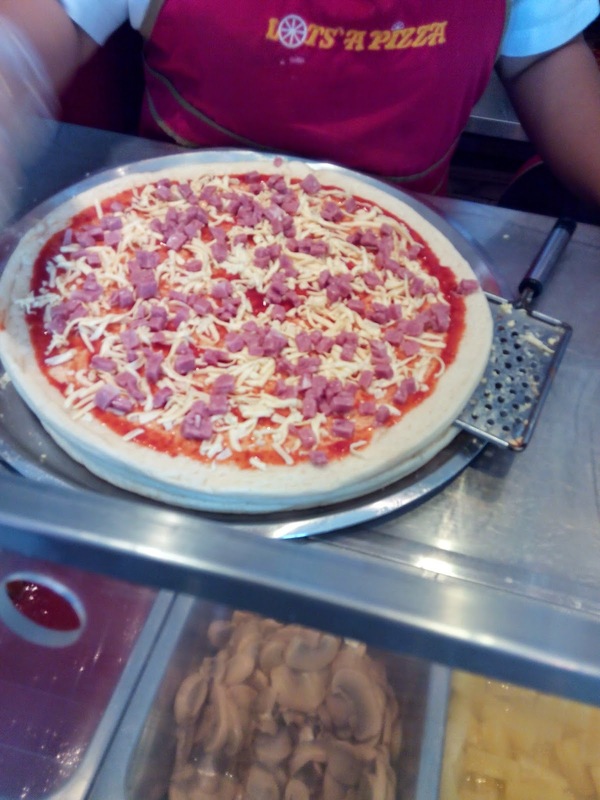 What I like most about Lotsa Pizza is that they cook the pizza upon ordering and the transparency that they have. 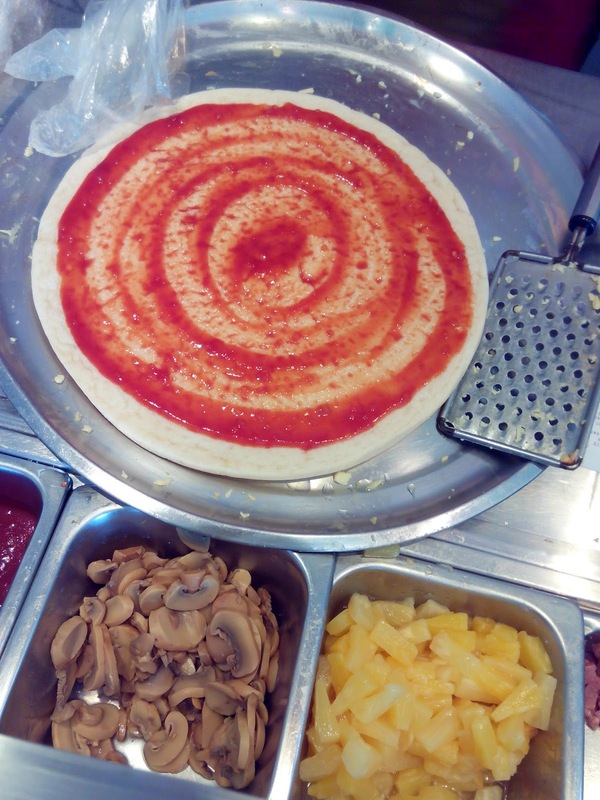 You can actually see the step by step process on how they create your pizza. TA-DA! It's the ham and cheese pizza of my childhood. I also got their Hawaiian because my son loves pineapples. I like that it still tastes the same. 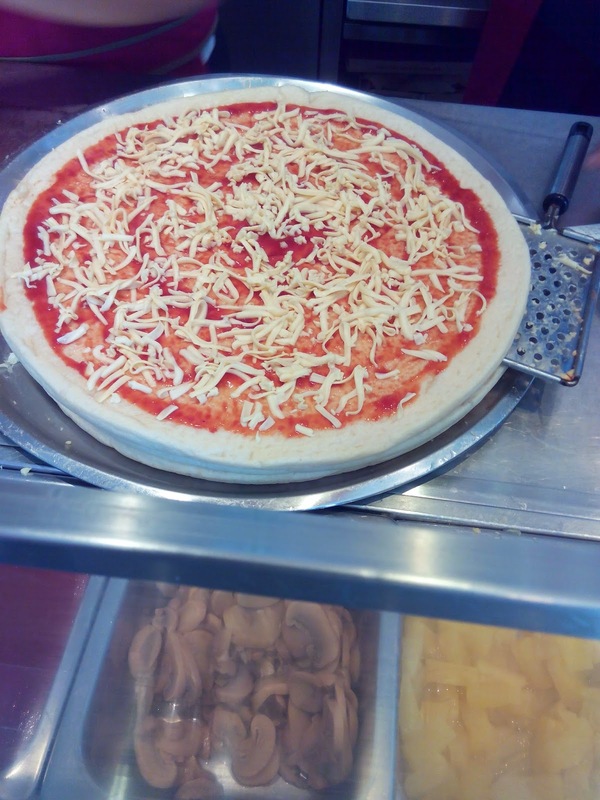 It's exactly how I remembered it from my childhood and the best part is, I got the Extra Large which is 12 slices and both pizza cost only Php540 combined. If that doesn't sway you to is, I don't know what else will.